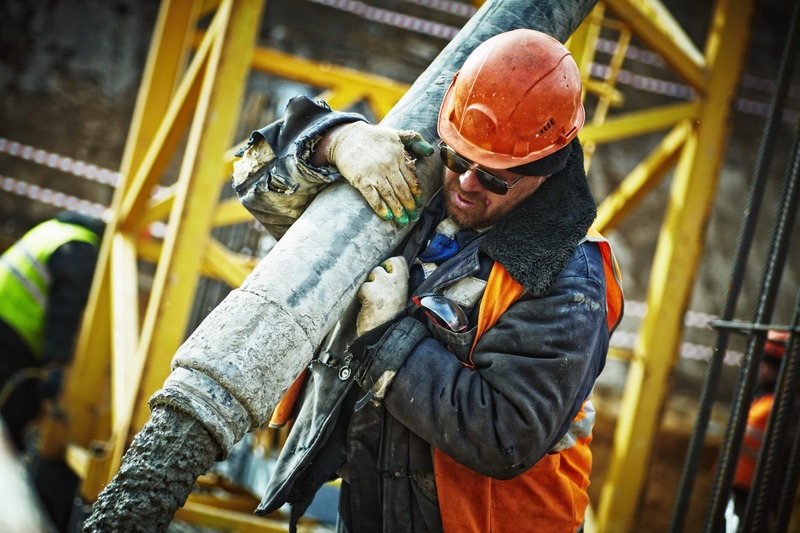 We specialize in Ready Mix Concrete, offering residential and commercial customers a wide selection of construction materials. 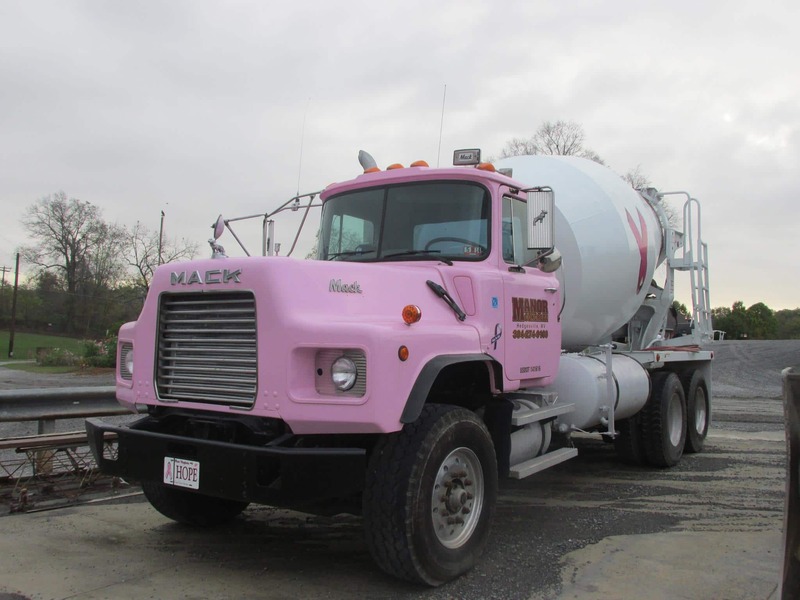 Manor Concrete manufactures ready-mix concrete for area contractors and homeowners. We do jobs both big and small. Manor Concrete realizes the world was built in six days not five and offers all services six days per week, that includes Saturdays. 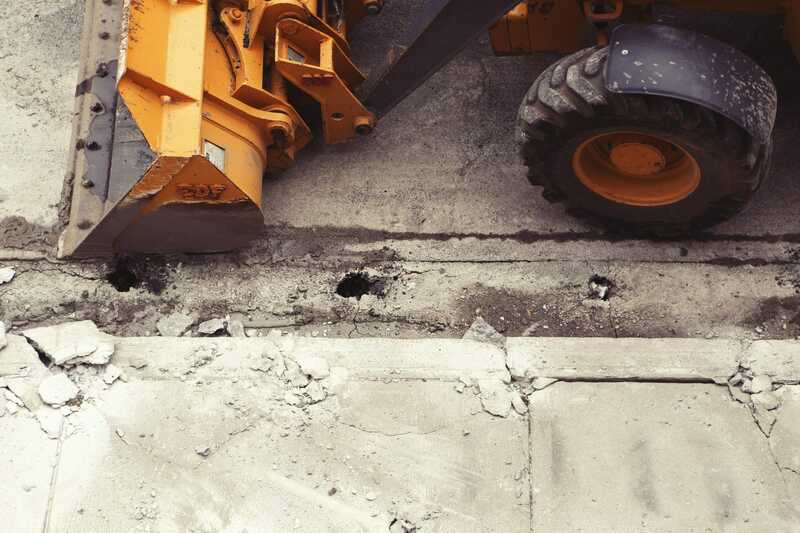 Whether it’s a concrete delivery on Saturday or snow removal in the winter, we can take care of all your needs. Acting as general contractor, I built a 28' x 28' garage on my property. When my footers were ready, I called Manor Concrete for concrete to pour the footers. They brought and poured the footers that same day and then contracted with me to 1. frame and pour the concrete walls, 2. cover the floor with gravel, rigid closed cell insulation, wire mesh and PEX pipe for radiant floor heat, 3. pour and polish the concrete floor, 4. provide the manifolds, water heater, pump, etc for the heating system and 5. backfill and grade around the walls. All work was completed in a professional and timely fashion and passed all county code inspections. 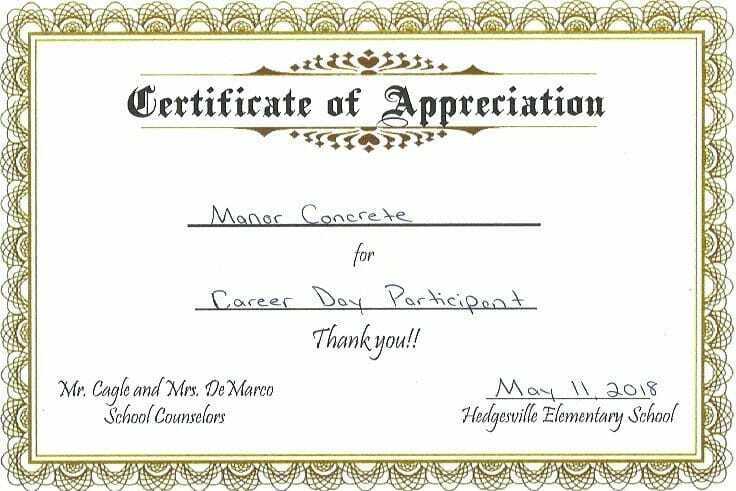 It was a pleasure to work with Manor Concrete. I have no reservations about recommending them to others. 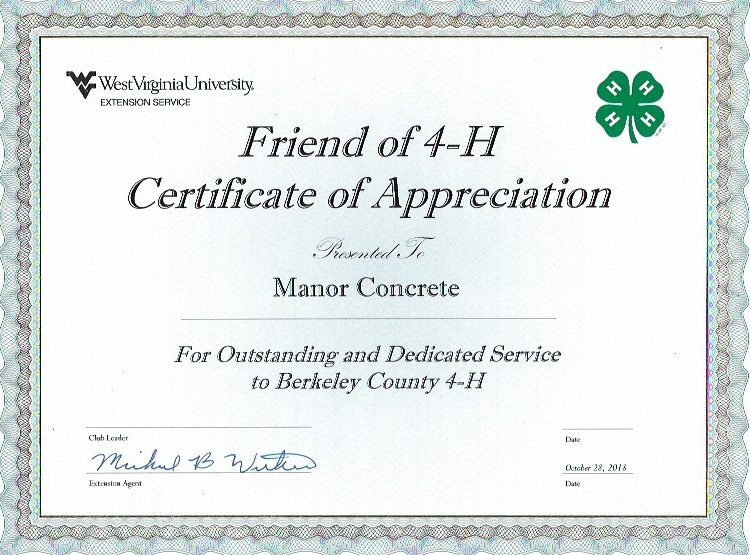 I have done business with Manor Concrete for several years. They have contracted all the concrete work during the construction of my home. 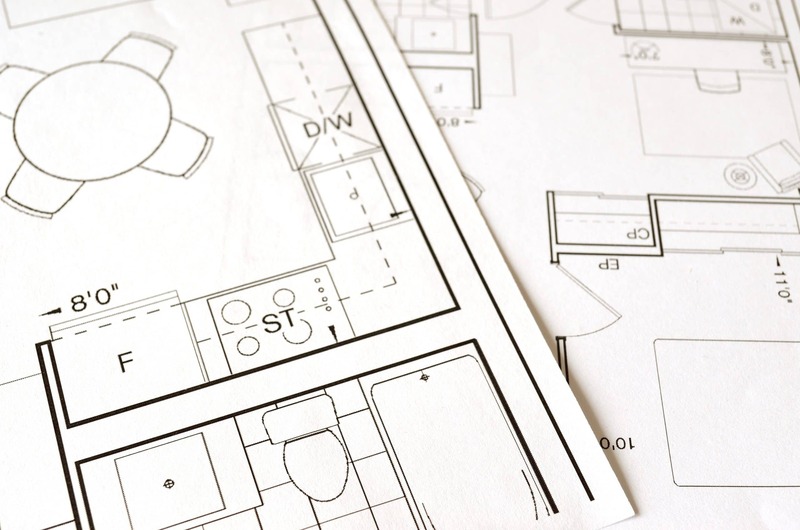 This involved but was not limited to the following: concrete footers for the foundation, a solid poured concrete foundation, drain tiles, stamped concrete walkways, a custom designed and installed septic system, landscaping, grading, lawn elements of my home's construction. Manor Concrete performed all work in a professional and timely manner. They were always available to answer questions and offer advice when needed. I found Manor Concrete to be honest, reliable and trustworthy. I would like to personally thank you for your contribution to the success of my Eagle Project, the Tuscarora Creek Bridge. I officially completed my project on November 30th 2011 and passed my board of review on January 17th 2012. Your contribution of concrete was necessary to ensure the quality and attribute to the appearance of the bridge. 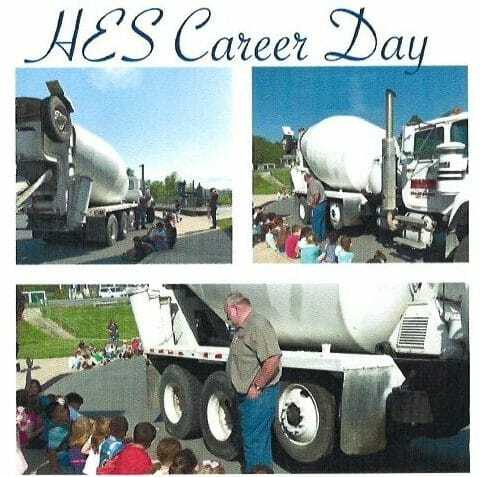 Without your donation, concrete would have had to have been mixed by hand and would have extended the date of completion significantly. In today's economy it is difficult for smaller businesses to make donations; and therefore I appreciate you taking time out of your day to contribute to such a small project. 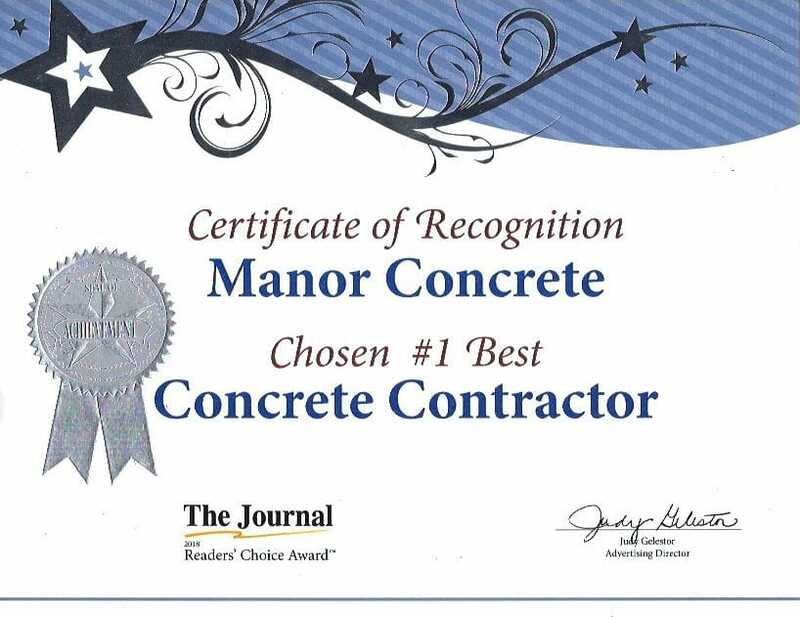 If at any time in the future I require the use of concrete or have knowledge of anyone else in need of such a service, I plan to recommend them to Manor Concrete. Once again, I would like to sincerely thank you for such a generous donation. My company has purchased concrete from Manor Concrete for many years. I am very satisfied with the quality of their product and the excellent service I have received. I am writing to thank you for your generosity to St. Bernadette’s during the construction of our new church. Your donation of $6,500 was greatly appreciated. We have a beautiful church to worship in and it could not have been done without companies like yours. Please know that the parishioners and I are grateful for your donation. You did a great job at the church! It was a pleasure to do business with Manor Concrete during one of our large Sheetz gas station projects last year in Spring Mills, WV. Walker Petroleum had the good fortune of finding this company who provided services above and beyond what we would normally expect from a business with whom we had never previously dealt with. 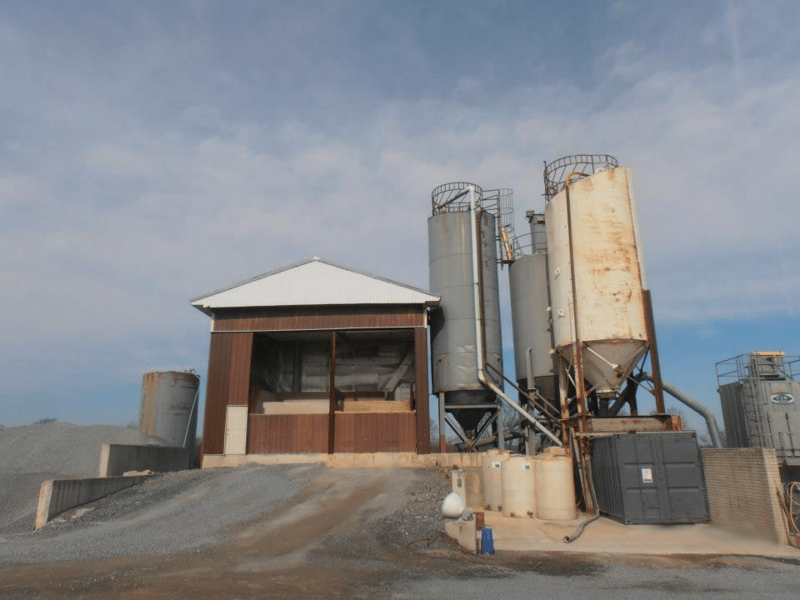 Manor Concrete provided ready-mix concrete, stone material and trucking services, ensuring everything was delivered in a timely and professional manner. They provided quality products and competitive pricing and were extremely friendly and easy to do business with. The courtesy and services that Manor Concrete extended to Walker Petroleum has ensured a long lasting business relationship. We look forward to working with them again in the near future. We want to thank you for your support in helping make our Healthy Kids Day at the YMCA of Hagerstown, MD such a success. We want to thank you very much for bringing your bobcat to our facility, off of a worksite, to help us prepare our trail for our 1K Kids Fun Run. We also appreciate your help in supplying some great obstacles for the run as well. We were able to have a great event that was open to all and emphasized our core values of healthy living, youth development, and social responsibility.